Norman A. Shelsta, age 84, of Ortonville, MN, died on Thursday, April 4, 2019. Funeral services will be held on Tuesday, April 9, at 11:00 a.m. at First English Lutheran Church in Ortonville, with visitation one hour prior to the service. Pastor David Tonn will officiate, and burial will take place at Kviteseid Lutheran – Milan Methodist Cemetery in Milan, MN. Norman Andrew Shelsta was born on November 4, 1934, in Milan, MN, to Sam and Hilma (Berglund) Shelsta. He grew up on a farm near Milan and graduated from Milan High School in 1952. Norman began farming after the death of his father in 1950, but later decided to become a teacher. 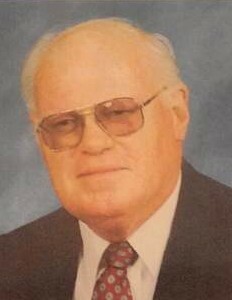 He attended Northern State Teachers College in Aberdeen, SD, and received a teaching certificate in 1957. He continued his education at NSTC during the summers in the 1960s, ultimately receiving a bachelor's degree in education in 1967. He later achieved a master’s degree in education in 1972 from Mankato State University. Norman taught fourth and fifth grade classes for 33 years. He began his teaching career at a country school near Gary, SD, in the late 1950s and taught for five years. He later taught four years at Bellingham in the mid-1960s. He went on to teach for 24 years in Northfield, MN. He retired from teaching in June 1991. Norman served in the United States Army from 1957 to 1958, and again from 1961 to 1962. He was an active and dedicated member of First English Lutheran Church, Kiwanis International, Sons of Norway, and several other organizations. He served on the board of directors for Kiwanis and Monarch Heights Assisted Living in Ortonville. He was a long-term, reliable volunteer and guide at the Big Stone County Museum and a member of the museum board. He enjoyed teaching a class each spring at the museum’s country school building for Ortonville and Clinton fourth grade students. He was a prolific writer and historian, and enjoyed sharing his knowledge of history with other people. He also periodically wrote an article for the Ortonville Independent called “Musings From The Museum”. Norman will be remembered by his friends and relatives as always being very kind, friendly, considerate, and generous. He was always willing to lend a hand and was the first to offer help whenever it was needed, in whatever way he could. Norman always arrived early for any meeting or event and was often the last to leave. Norman leaves behind many relatives, friends, and former students who mourn his loss. Preceding Norman in death are his father, Sam Shelsta in 1950; his mother, Hilma Shelsta in 1960; brother, Floyd Shelsta in 1946; and sister, Inez Shelsta Olson in 1993.